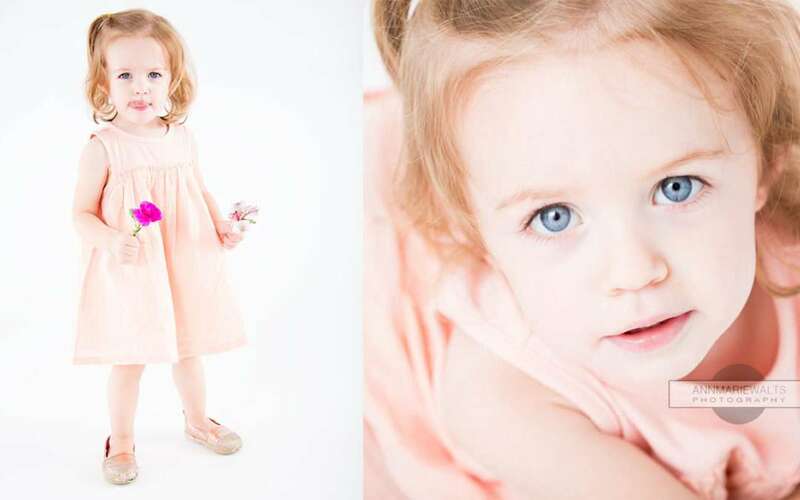 Little Rosalie is growing up way too fast! She is always delightful to work with. When you are preparing for a shoot for your children, I highly recommend bringing a couple of their favorite toys, outfits and or blanket. I love working in some flowers on shoots, and much of my inspiration comes from just slowing down and taking a “let’s hang out” kind of approach. Children’s photography requires patience on set with everyone. The one thing that is predictable is that young children can be unpredictable. 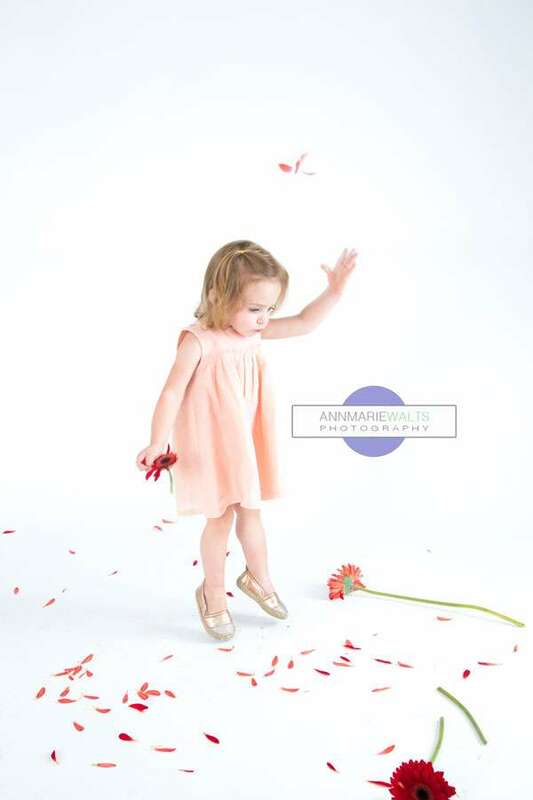 We were just about done with our photo shoot, when I handed Amelia a flower. Next I took a flower, and ripped off some of the petals. She thought that was so funny, or it was the fact that I was acting like a clown, but it had her attention. I encouraged her to do the same. Her big blue eye lit up, and she just started to throw the flower petals all around. Catching children in action and being themselves can create the best moments to photograph.